The Ethnic Communities Council of Victoria (ECCV) mission is to work to ensure that we remain a member driven peak body committed to empowering people from culturally diverse backgrounds. We strive to give voice to multicultural Victoria. We strive to advocate for human rights, freedom, respect, equality and dignity for ethnic and multicultural communities and in building a socially cohesive and inclusive Victorian community. The organisation advocates and lobbies all levels of government on behalf of multicultural communities in areas like human rights, access and equity and improving services. As our core business we advocate on any issue that is of concern to our members. 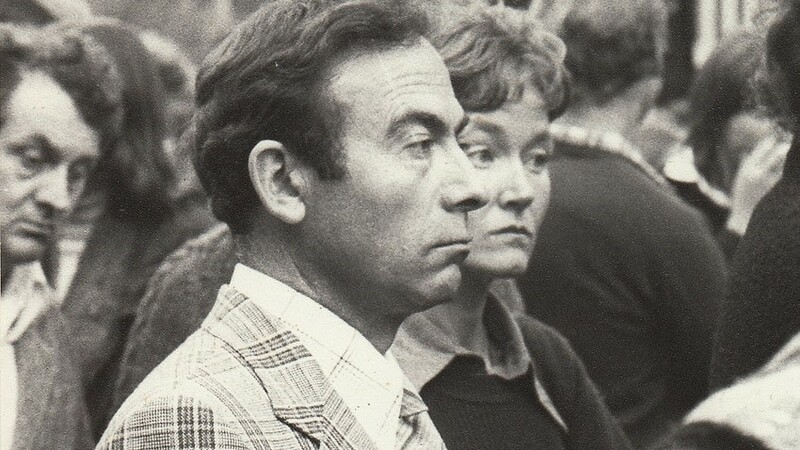 We are proud to have been the key advocate for culturally diverse communities in Victoria since 1974. The Ethnic Communities’ Council of Victoria is proud to be associated and committed to Cultural Diversity Week 16/24 March and Harmony Day on March 21. As the peak organisation representing and advocating for multicultural communities throughout Victoria, ECCV strongly supports the principles and values of inclusion, respect and belonging. The plethora of events and activities held during Cultural Diversity Week and Harmony Day are a wonderful opportunity to connect with each other and share and learn about our rich multicultural community. ECCV strives for the inclusivity of all Victorians in every sphere of our society, where diverse cultures and faiths are respected and we all belong. The need to celebrate and re-affirm the principles associated with Cultural Diversity Week and Harmony Day, is more apparent than ever in the aftermath of the most recent global acts of terror. ECCV stands firm with the people of New Zealand in denouncing the hate-based racially motivated violence perpetrated on the people of Christchurch. We pay our respects and deep condolences to the people of Christchurch, and to other people globally who have suffered recently at the hands of terrorists in places such as Nigeria, where hundreds of Christians were massacred, as well as other faith-targeted attacks in the Philippines and Egyptian places of worship. ECCV reaffirms its strong and ongoing commitment to the sanctity of human rights and respect for all peoples, and the importance of restating and embracing the crucial importance of these values at times such as these. 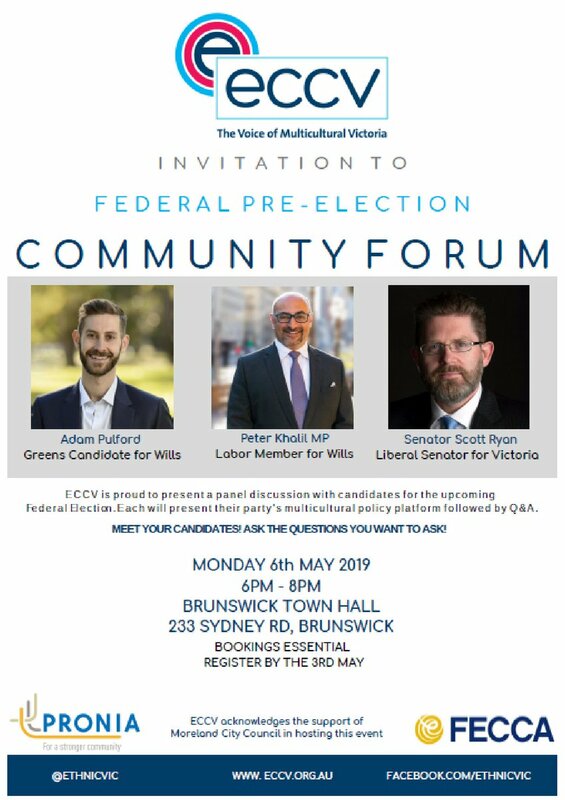 We acknowledge and celebrate the great bi-partisan political commitment to cultural diversity and multiculturalism in Victoria. 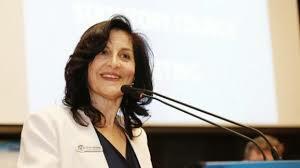 The Premier of Victoria, Daniel Andrews, referred to multiculturalism as Victoria’s number one asset at the recent Multicultural Gala Dinner, which marked the start of Cultural Diversity Week. I encourage you all to take part in the many fun and inspiring activities and celebrate our cultural diversity. Try a different cultural meal, speak a new language, listen to cultural music, read about a different history. We might be surprised at how much we have in common. 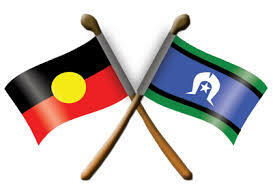 Happy Cultural Diversity Week & Harmony Day to you all. ECCV applauds the Victorian Government for the work done in the three years since the Royal Commission into Family Violence first brought down its landmark report, however urges the Government to do more to address the needs of women from culturally and linguistically diverse backgrounds who are specifically vulnerable to the scourge of family violence. ECCV Chairperson, Kris Pavlidis along with other ethnic community leaders calls for Pauline Hanson’s One Nation to be put last on how-to-vote cards at the upcoming federal election as pressure builds on all sides to take a tougher stand against the minor party and other candidates that promote “racism and hate speech” in the wake of the Christchurch terror attack. ECCV Chairperson, CR Kris Pavlidis calls on the Federal Government to do more to help pensioners, after ECCV consultations with a range of culturally and linguistically diverse seniors and supporting organisations. 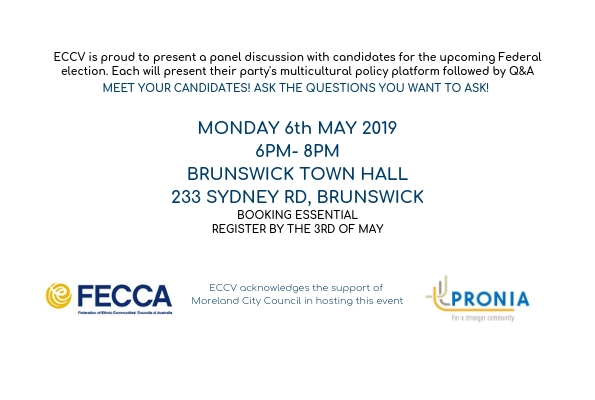 Ethnic Communities’ Council of Victoria (ECCV) is proud to have launched #FactNotFiction at a community state pre-election forum held on Thursday 15 November. We call on our political leaders to make statements based on rigorous evidence and not play to populist prejudices. We can and we must do better. Today we remember all those who served and died in war, been held siege by the cost of conflict, and risked their lives for peacekeeping operations. From every creed, and background today is a day to empathize and feel the loss Australia felt. On this morning...lest we forget. 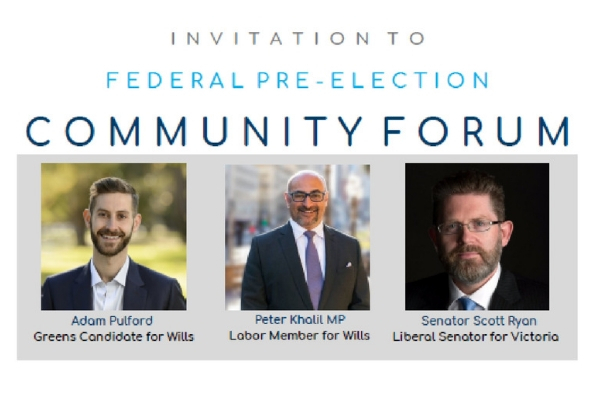 come to the FEDERAL ELECTION COMMUNITY FORUM, to discuss the multicultural platform of the Greens candidate for Wills (Adam Pulford), the ALP member for Wills (Peter Khalil) and Senator Scott Ryan, representing the LNP. The discussion platform will be followed by a Q&A.